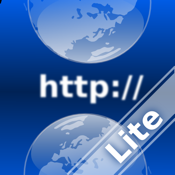 WebLeaf (Lite) Smart Tab Internet Browser. A perfect browser for surfing Internet. Especially useful for reading text documents. WebLeaf Smart Tab Internet Browser: an internet browser with convenient smart tabs for viewing and surfing the Web. The application has a user-friendly interface with the hierarchical structure of web pages you've opened for a much faster access to relevant information. After restarting the application, all tabs will open. Even in places without Internet access, a text version of the page will be available to you for reading. Text can be easily expanded by double clicking; a full-screen mode will allow you to use the device's screen to the full extent. The vertical structure of tabs allows active users to open a large number of pages yet easily find the desired tab. -There is the limit of 10 tabs per session. Full version of WebLeaf Smart Tab Internet Browser App has no limitations on the amount of tabs. Download the application today: it will bring a sound structure into your internet life!